More Warbirds: F4u Corsair Next? 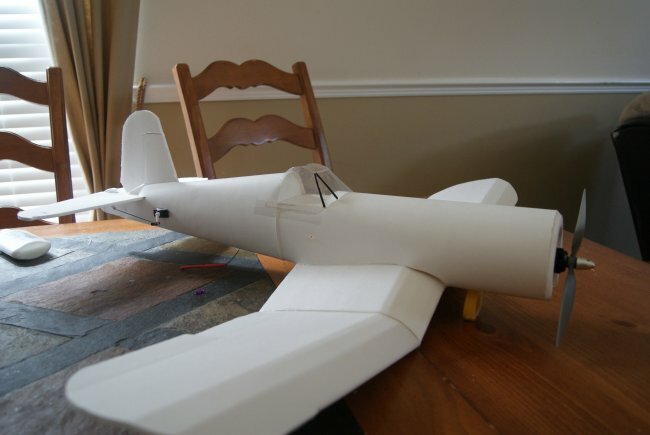 Thanks Flitetest for building The FT Spitfire, how about next a swappable F4u corsair that can fly ? the anhedral wings design might be bit of a challenge. Either that of a P-51D mustang or a p-38L Lightning. You should also teach us how to build scale canopies for them. That would a dd a lot to my swappable warbird collection. I have a video that I am going to put up as an article on forming parts from 2 liter soda bottles, if I can ever get my danged computer and imovie to cooperate. Its pretty easy to do and CHEAP! Look forward to seeing that video teach, what are you using to heat the plastic, hot air gun? I'd love to see a Corsair as well, but what I feel this series needs more than anything right now is an antagonist. I'd love to see any of the following; FW-190a (my favorite warbird), ME-109, or even a Zero would be nice. Ft Spitfire needs something to chase. Yes, I'm using a heat gun. As long as we're going all Battle of Britain, how about a swappable He-111? P-47D gets my vote for a Warbird Swappable! +1 to the Bf 109!! I'd kill for a B-17 (that'd be hard to get the fuse shape). A B-25 wouldn't have to be much different that the cruiser, just have Josh S. design a bomb bay . A P-38 would really steal the show. Obviously I'm enticed by multi engine planes. Why wait for the Flitetest folks? Make your own swappables. Mind you, I always tend to go off and do my own thing (http://forum.flitetest.com/showthread.php?3365-Swappable-fleet-on-the-way). I've done a MiG 7 and am working on a P-51D Mustang. 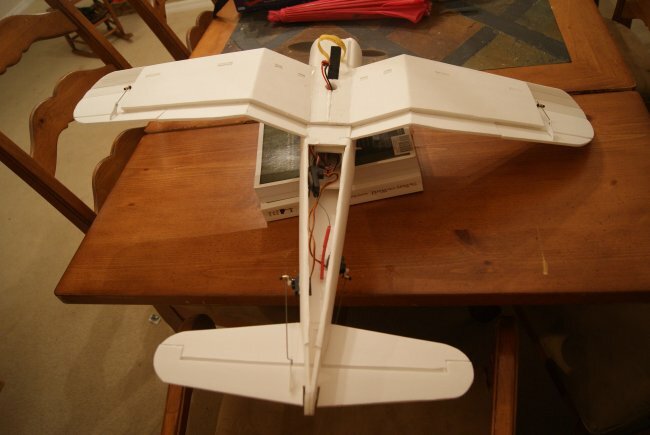 Not to mention what could be considered a swappable glider (http://forum.flitetest.com/showthread.php?4253-Modular-Swappable-glider-platform). I would LOVE to see an F4U corsair! I'd also vote for a P38 lightning but I understand how that could be a challenge. Hi Patrick, I agree 100% with you in that the F4U and the P-38 lightning would be a most excellent addition to the next plane to be build in the Simple Series planes. well there is a swappable f4u corsair. 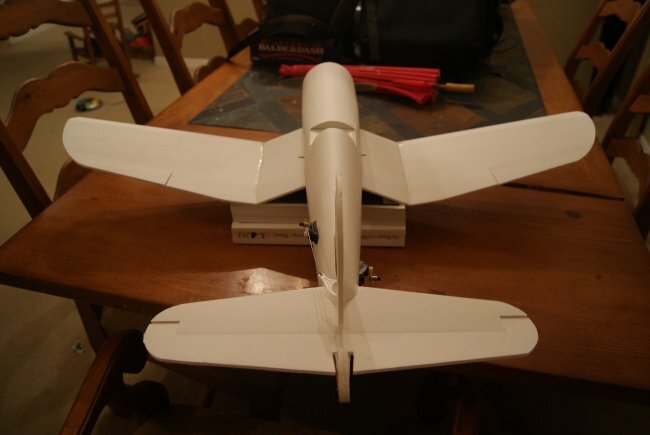 I built one and it flies great. looks sweet. Flys way better than my gws. Give this a shot guys you wont be sorry. Do a p38 lightning. by lockheed martin. Those planes were fast and were versatile. Looks great too. They were fast planes with great history. Flight test, look into it!!!. I should also be a swappable. have a mighty mini for it and a full size.